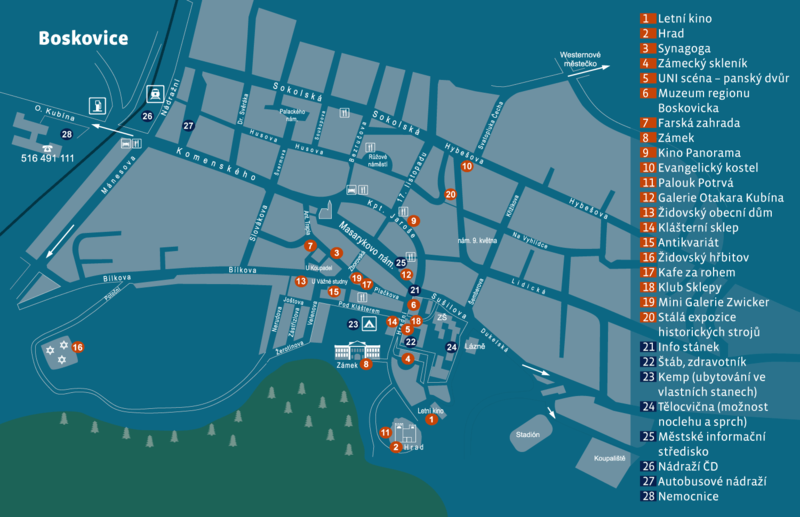 You can stay in a tent city in your own tent for 50 CZK for the whole festival (luggage and bicycle storage included), or in the gym at the school on Sušilova street. 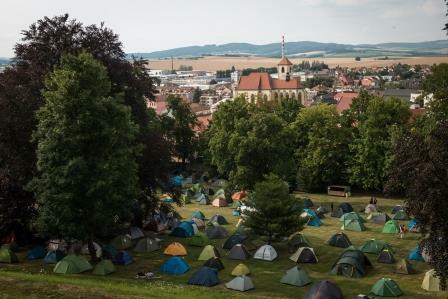 The tent city is in the historical area of the city, on a beautiful meadow under the castle. Accommodation capacities in Boskovice (hotels, boarding houses, etc.) are reserved during the festival. Book your place in time. During the festival, please park in the reserved car parks. Do not park in the street "Pod Klášterem" (at the campsite) which must stay open. There will be enough garbage bins and containers in the festival area. We kindly ask visitors to keep the place clean and use the trash cans. We would like to ask you to sort the waste as well - use yellow bags for plastics and cartons only. Thank you. We will be happy to tap beer / soft drinks into a returnable cup. You can bring your own (ideally not made of glass). You can take your dog with you to the festival. However, you must keep your dog on a leash and muzzle the dog in the city and on stages. Free movement of dogs around the city is forbidden (according to the City Decree 2/2005).